Grey skies and rain in the air greeted the DSC team as we arrive at the Circuit Paul Ricard on Sunday lunchtime ahead of the first track session tomorrow of two days of European Le Mans Series testing. 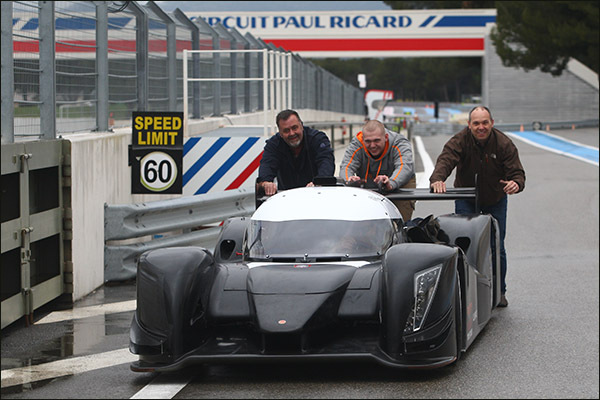 The brand new Ginetta Nissan LMP3 was being pushed down pit lane as we took an early stroll – Ewan Baldry helping to push his new baby to the team’s garage with Lawrence Tomlinson at the wheel. 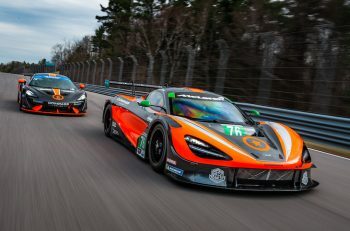 The car is a handsome looking thing, more compact than an LMP2 and with cleaner lines. To be clear this will be the only Ginetta Nissan here this week. 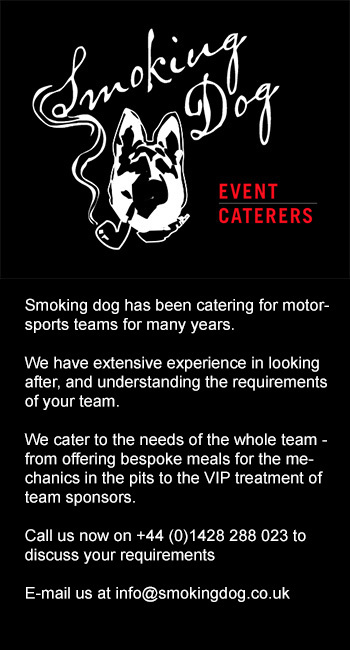 No sign yet of the new SMP Racing BR01 LMP2 Coupe but we expect the first car to arrive later today and to run alongside one of the team’s Oreca 03.Rs at the test. 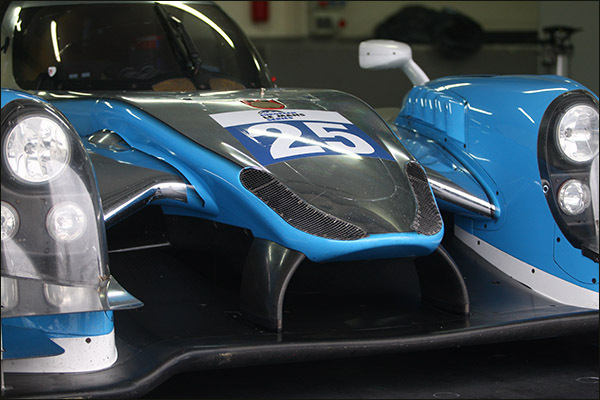 Both the Jota Sport and Greaves Motorsport Gibson 015S LMP2s look very neat and tidy – The Jota car still sports Nick Yelloly’s name but that is set to be changed very soon – Watch this space! The Greaves car is sporting a handsome, neat and tidy white and blue livery in deference to their new Kairos Technologies backer. The Algarve Pro Liger looks very pretty in its light blue livery. Nick Catsburg was slated to drive the car but will not now be present at Ricard due to some commitments in America. DSC understands that Andrea Roda will test for the Portuguese team. The son of current #63 AF Corse driver Giorgio cut his LMP2 teeth here last September with the Sebastien Loeb Oreca-Nissan. 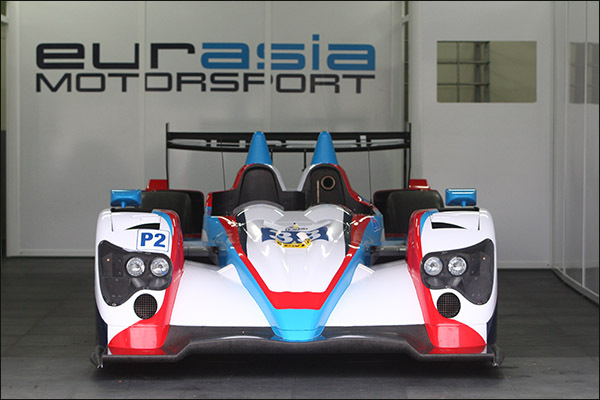 Next door was the Eurasia Oreca 03-R (this the ex Sebastien Loeb Racing car) sports a red white and blue scheme. KCMG chief engineer Greg Wheeler has a busy year ahead as he will also be working with the Eurasia Motorsport team. The experienced South African, who worked for Williams and Arrows in F1 for many years is overseeing the running of the car. 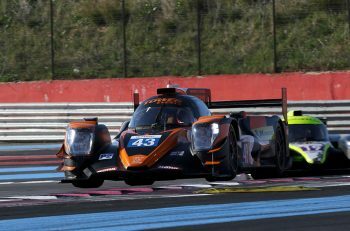 Murphy Prototypes familiar Oreca sports a familiar look with Mark Patterson and Michael Lyons listed alongside Nathaniel Berthon. 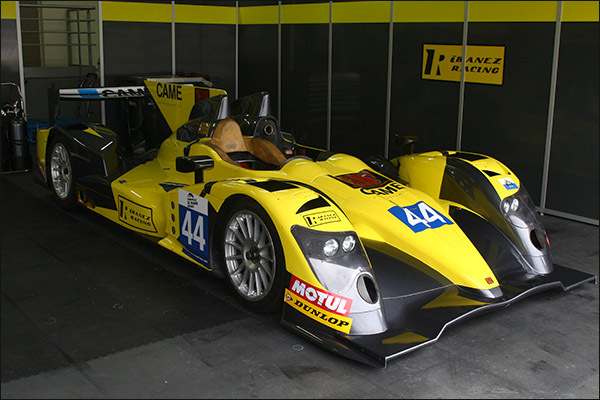 Both ex Millennium Orecas are here, now of course in the hands of Ibanez Racing, the Spanish team’s bright yellow livery suiting the lines of the 03.R very well.